Join us for Upstream Arts Classes in Charlotte, NC! 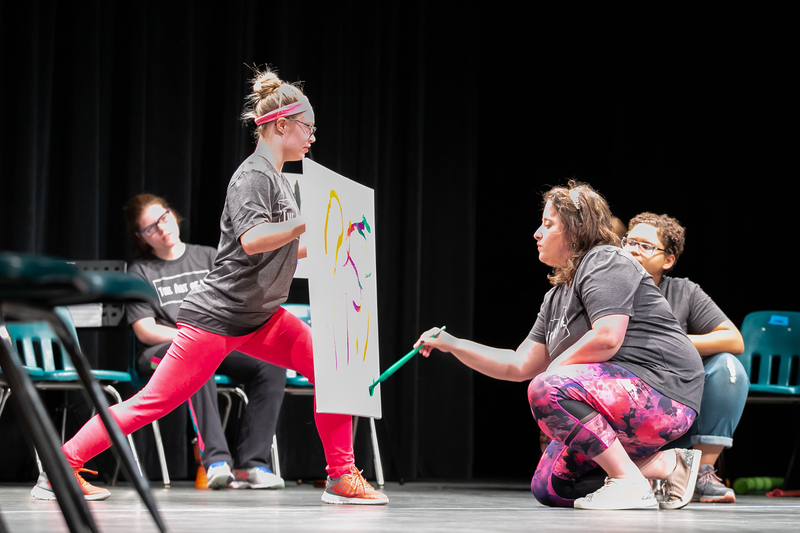 Participants paint in conversation with a dance during an Upstream Arts program. Photo by Jason Bucklin. Upstream Arts and the Levine Jewish Community Center are pleased to offer programs for three age groups in Charlotte, NC this November! Learn how the arts can help you explore creative and positive ways of self expression. Through theatre, poetry, music and dance, we can develop social, emotional and communication skills vital to success in school, work and life. These fully accessible classes are offered at no cost to the participants. Registration reserves your spot in three class sessions. Register by calling 704.366.5007 or click here to register. Registration reserves your spot in both class sessions. Registration reserves your spot in either 2 or 3 class sessions depending on which option you pick. The Levine JCC is a fully accessible, ADA compliant facility. Registration is required. If you have a 1:1 Aide that supports you at home, school or in the community, please bring them with you. Access isn’t only about ramps and sign language interpretation; access is an attitude! The Art of Access is an interactive workshop that examines how to design every day experiences, from classes of every variety, to performances, worship services or events, for people of all ages and abilities. We adapt this program for a wide range of participants—from family members, educators, support staff, care givers and organizations—anyone interested in using creative strategies to make day to day experiences either at home, at work, in the classroom or in the community, more accessible to people with disabilities. Register by calling 704.366.5007 or click here to register for Tuesday or click here to register for Friday. Read or download the Levine JCC flyer here. Upstream Arts uses the power of the creative arts to activate and amplify the voice and choice of individuals with disabilities.